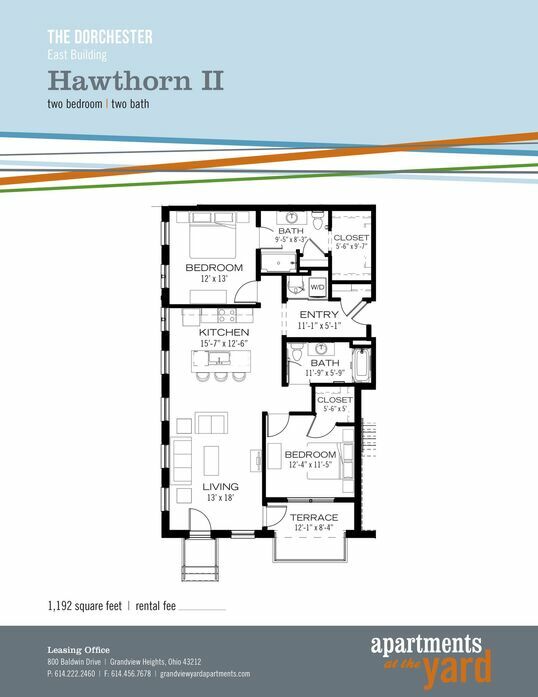 Less is more with this 723 square foot single bed, single bath floorplan. 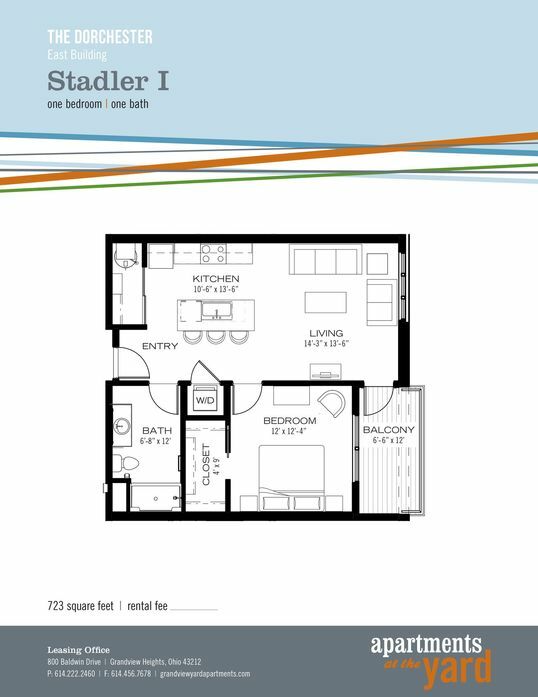 The Stadler I is a minimalist haven that offers the best use of space for single residents or couples.With kitchen areas worth bragging about, you will love the sleek granite countertops, kitchen island and stainless steel appliances. Also included with this space is a perfectly placed front loader washer and dryer included for your convenience. You will love nights on your private balcony with options overlooking the courtyard. 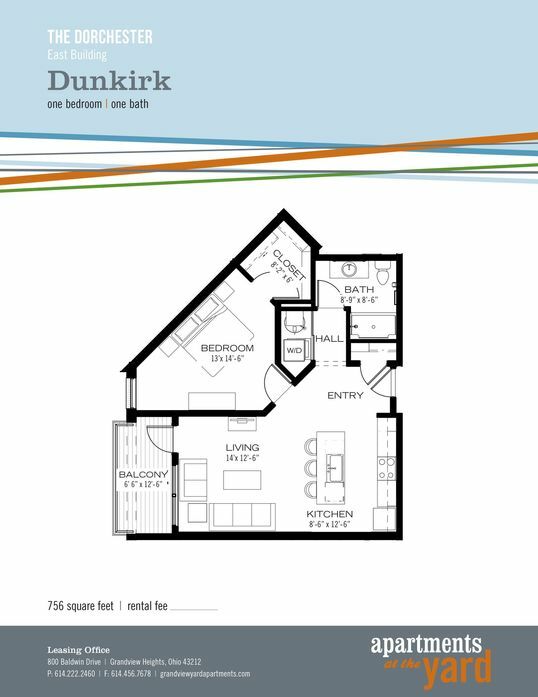 The perfect floor plan for single residents and couples alike, the Dunkirk is a 1 bedroom 1 bath floorplan offering the most of 756 sq. 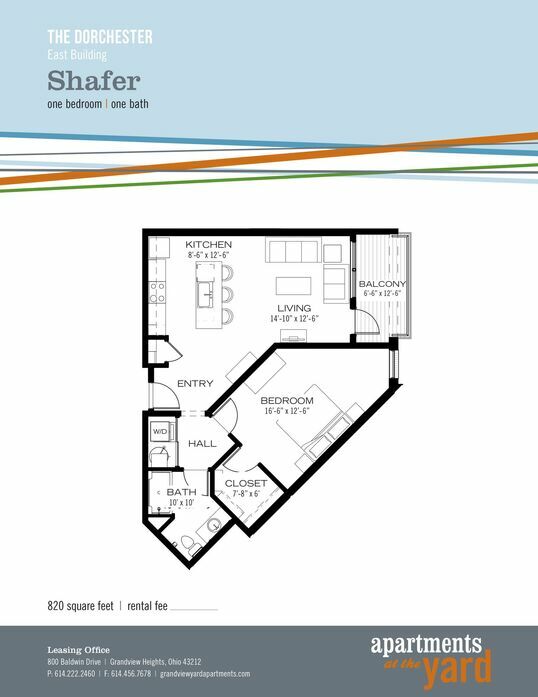 ft. Includes space for your own in-unit front loader washer and dryer. Whether dining solo or inviting over guests, the kitchen offers additional counter space with island kitchen, beautiful granite countertop and stainless steel appliances for a sleek finish. Enjoy courtyard views from your own private balcony. 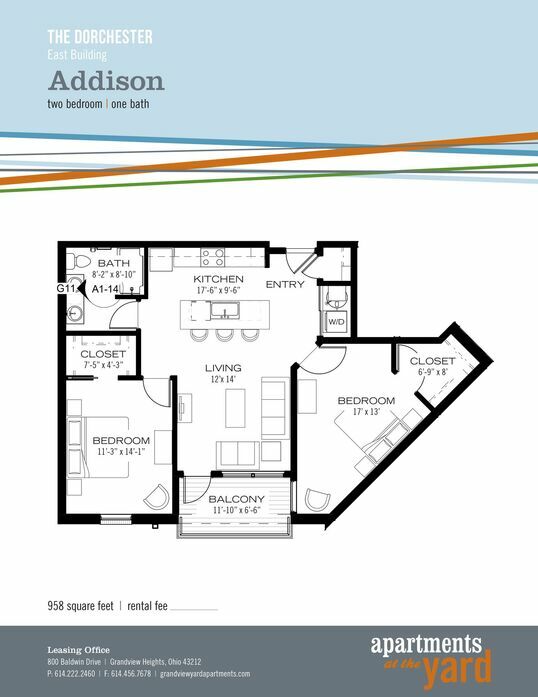 Our floor plans offer the best use of space. 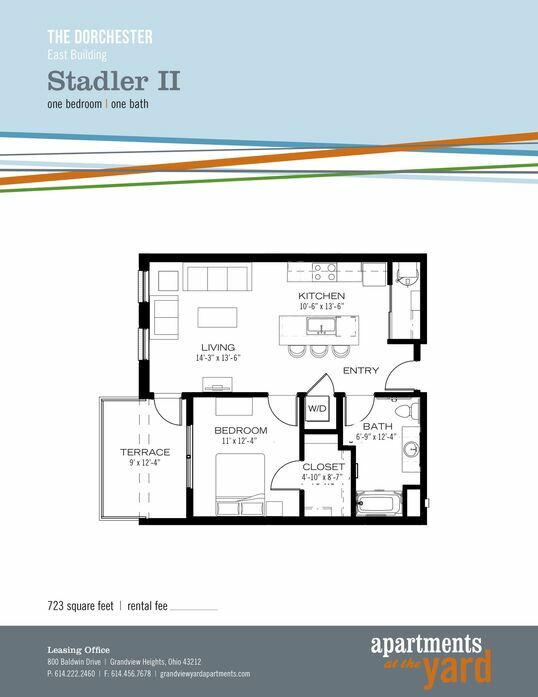 The Shafer, a 1 bedroom 1 bath floor plan is nothing short of contemporary. You'll love entertaining in your modern style kitchen complete with granite countertops, kitchen island and stainless steel appliances. Forget communal laundry rooms with the convenience of an in-unit front loader washer and dryer. Enjoy courtyard views from your private balcony. Looking for something different? Look no further! 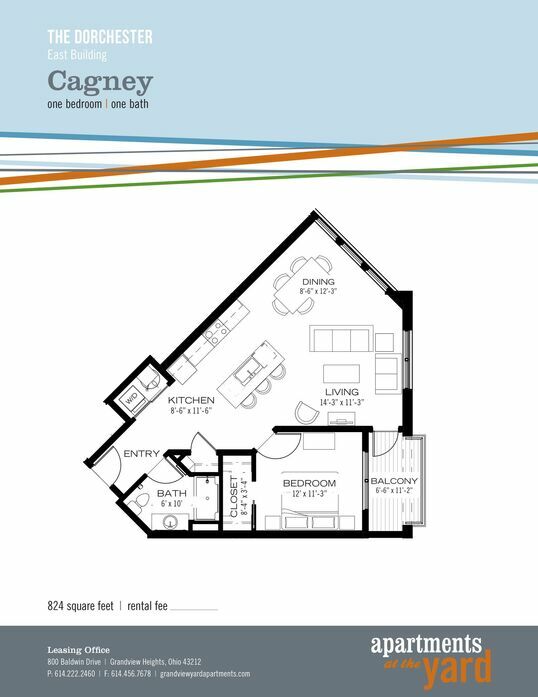 The Cagney, our one bedroom one bath floor plan is 824 square feet. The extended entry, designer selected finishes and open floor plan will leave little to desire. Use the extra space off of the kitchen for an office, den or simply expand your living room. No matter what you decide you will enjoy all the conveniences that come with a fully equipt kitchen, the in-unit washer and dryer and our award winning customer service. 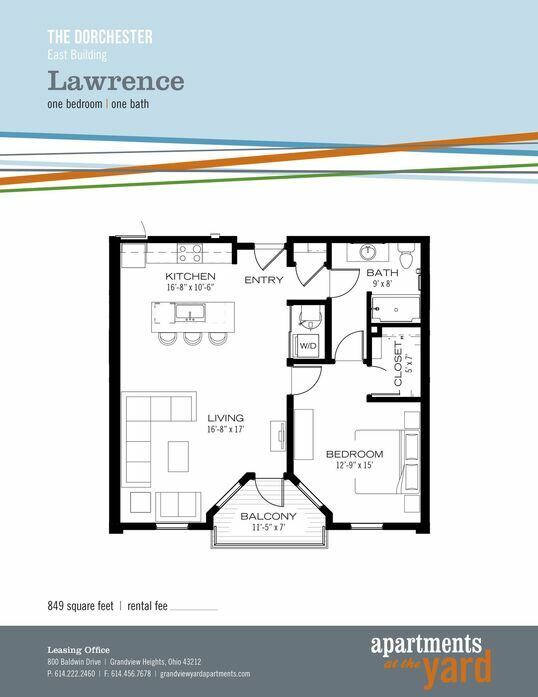 The Lawrence boast 849 square feet of living space in addition to a balcony or patio area. 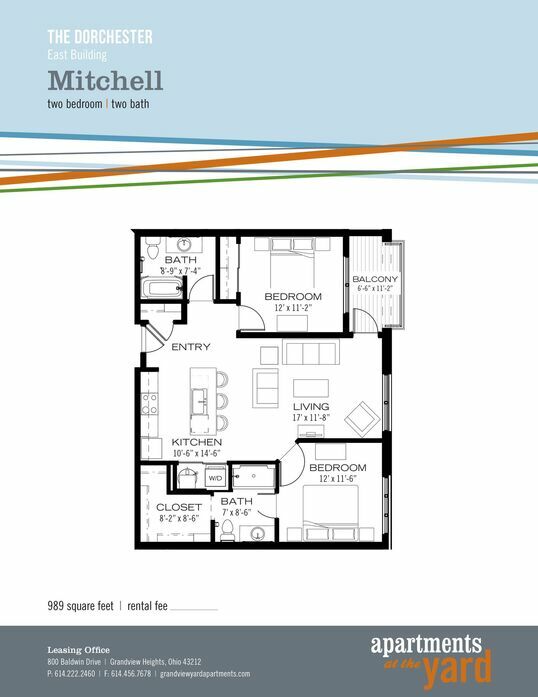 This spacious one bedroom floorplan has granite countertops, washer and dryer, over the range microwave and island. The sizeable bedroom has great wall space. All that is missing is YOU! 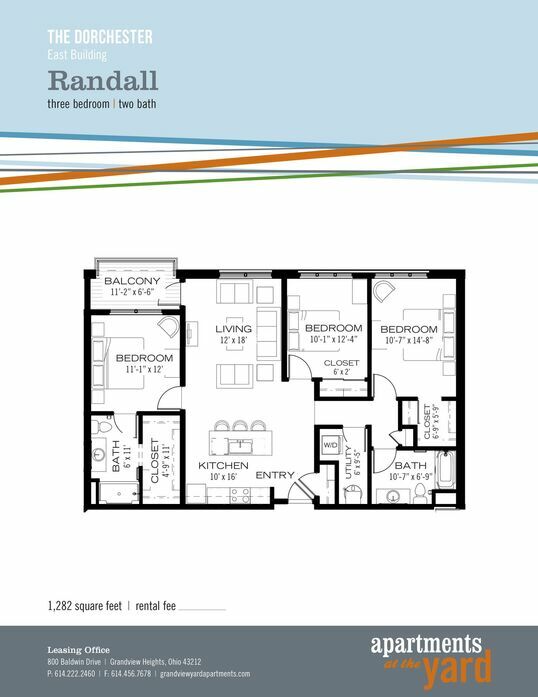 This two bedroom one bath two walk-in closets, designer selected finishes, patio or balcony options and a washer and dryer. Use the second bedroom as an office, den or guest bedroom. The options are endless! The kitchen is dressed in granite countertops, stainless steel appliances and is open to the living room. Perfect space to entertain your guest. 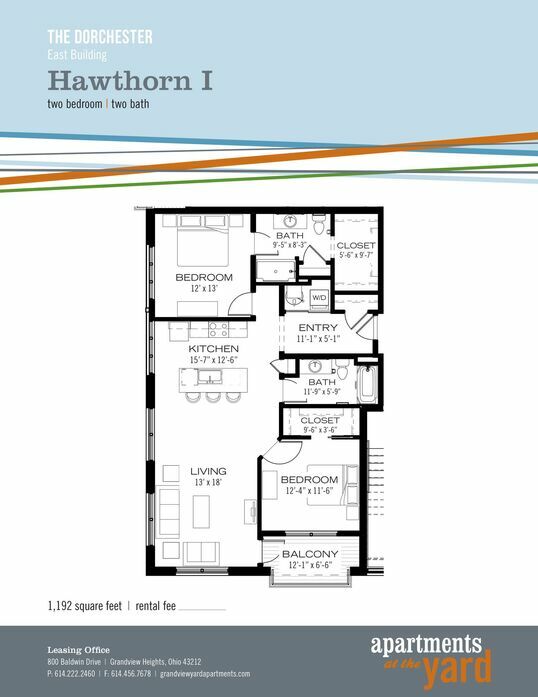 This two bedroom has two walk-in closets, designer selected finishes, patio or balcony options and a washer and dryer. The kitchen is dressed in granite countertops, stainless steel appliances and is open to the living room. Perfect space to entertain your guest. 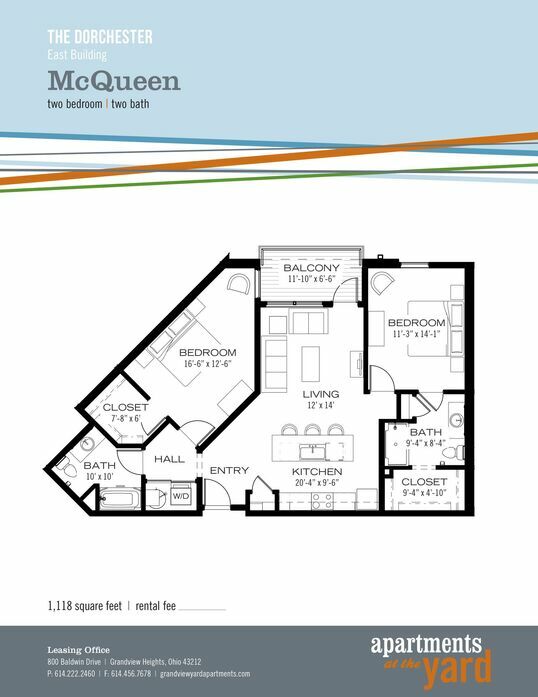 This two bedroom two bath floor plan has a walk up entry, open living space that showcases our designer selected finishes and a floating island with granite countertops. Inclusive of stainless steel appliances, washer and dryer and wood look flooring, all these home needs is your personal touch!